We survived! Everything is pretty much in tact after the hurricaine and we are back in business. It's a holiday weekend and there's stuff you need to celebrate. We know where you should go. 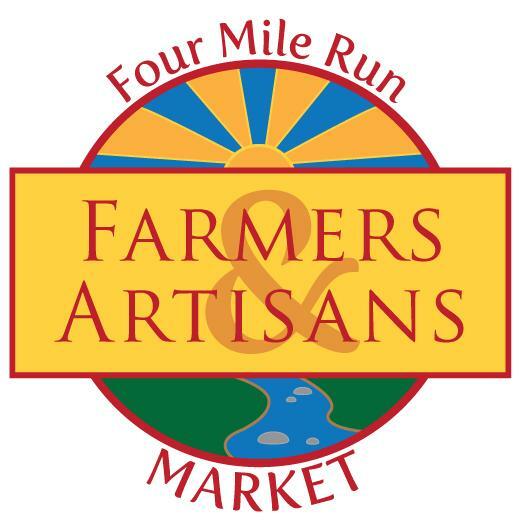 The Four Mile Run Farmers and Artisans Market will be open this Sunday September 4th. The farmers, crafters, artisans and intrepid volunteers at 4MRMarket depend on your support to keep this thing alive. And to entice folks to come check us out, we are offering the chance at one of four $5 Gift Tokens to our loyal repeat customers. 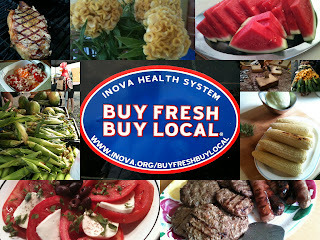 Come to the 4MRMarket tent for a complimentary BuyFresh BuyLocal market bag. Bring it back to 4MRMarket and show it to a market manager in September and you will be entered in the drawing. BUY. Proceeds of our 4MRMarket T-shirts go to support the expansion and revitalization of 4MR Park. They cost $12 and come in 4 colors. See us model a few at next week's market or pre-pay online via Pay-Pal (send money to 4MRM@arlandria.org). DONATE. Help 4MRMarket help 4MR Park. Tax-deductible donations can be made to support us in our efforts to revitalize Four Mile Run Park. Donate to the City's Living Landscape Fund. More information here. ANSWER. Do you like to bike to 4MRMarket? If so, please fill out this survey from the League of American Bicyclists to help get 4MRMarket certified as an official Bike Friendly Business. HELP. If you'd like to volunteer with the 4MRMarket, go to: volunteer.4MRMarket.org to sign up or look for the "volunteer" tab on our website. You'll be able to volunteer to help process SNAP/EBT sales, help us keep our books, help set up or tear down for the market, or help us find musicians to play the market. You can also find a Market Manager to ask to help, or email us at 4mrm@arlandria.org for more info. SPREAD THE WORD. Please tell folks about us. And tell folks about some of the great things we're doing. 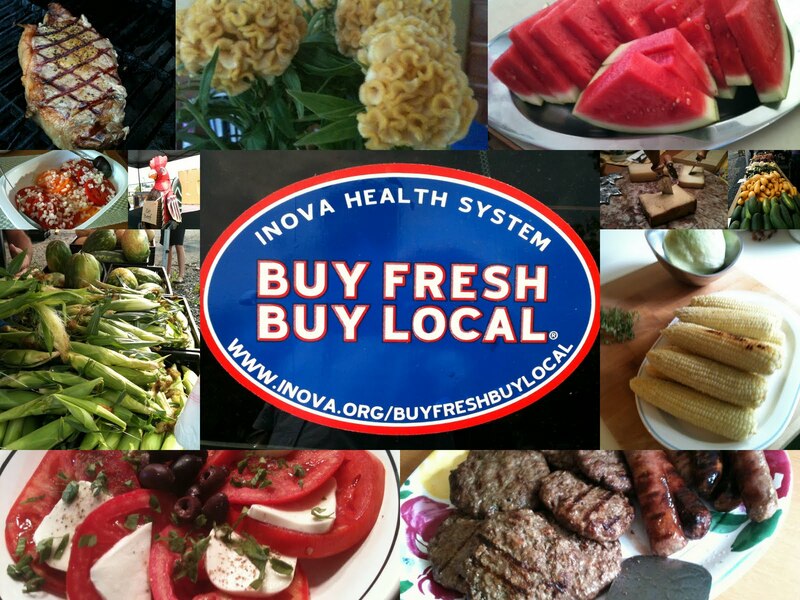 For instance, all SNAP/EBT participants can take advantage of the Inova-sponsored "Double Dollar" program that doubles the first $10 SNAP participants spend at the market. 4MRMarket is the first farmers’ market in Northern Virginia (and still the only) to accept SNAP. C and T Produce (White Oak, VA) - A huge selection of locally grown produce. Simply Healthy Water (Vienna, VA) - Try Dennis and Eileen's homeostatic filtered water and see if it's something you want to be able to enjoy every day. Plan ahead and contact any of these great folks online if you'd like to shop virtually during the week. VeloCity bike co-op will be on-site doing teaching bike maintenance and repair. And our 4MRMarket Tent will certainly be the host to some great community group. A New Mixed-Use Project for Arlandria! 4MRMarket Report: "Bringing in the Harvest"